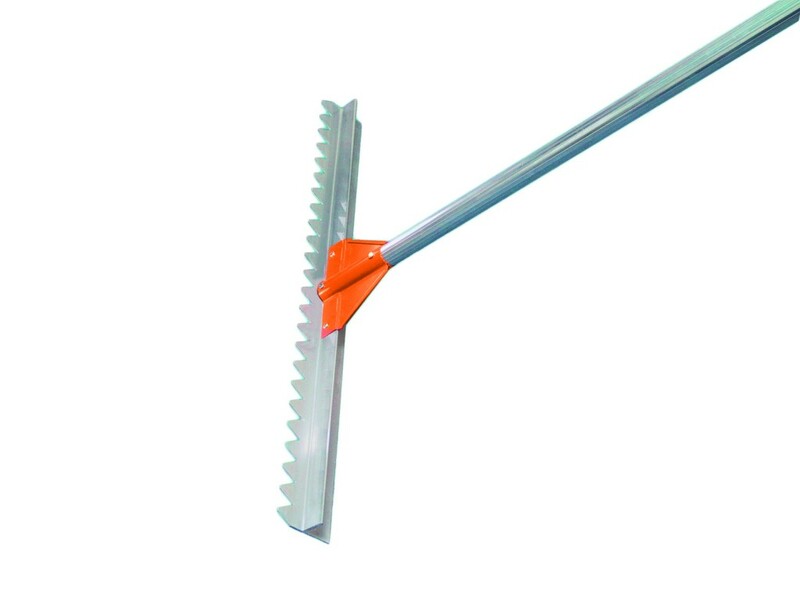 This unit provides for exceptional strength versus weight with an 84” extruded aluminum handle that has an outside diameter of 1 1/4” that is ridged for strength. The lute features an aluminum extruded blade with teeth one inch wide/one inch deep on one side and a straight edge on the other side. The internally braced stamped steel socket is lapped for added strength and powder coated safety orange.